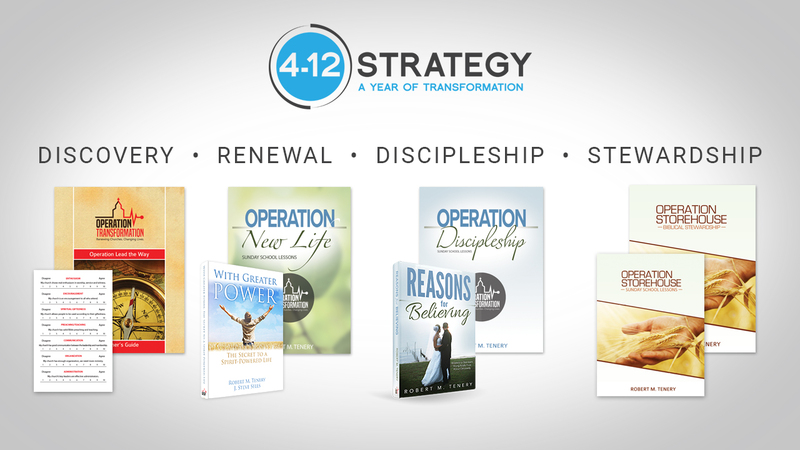 Operation Transformation’s new approach to church revitalization is the “4-12 STRATEGY”. In the last few years, as we consulted churches we noticed four main obstacles most of the churches are experiencing: Discovery, Renewal, Disciple and Stewardship. The strategy is divided into 4 quarters in 12 months and will help churches overcome these obstacles and hit them head-on. This strategy is based on a year-long timeline and we trust God it will revolutionize the church as it takes the church to a much higher level of effectiveness and success for the Kingdom. This is a time of Discovery for the clinician and the local church. – This weekend assess the churches condition and clarifies the future for the local church. This is a 5 week conference that takes the church on a journey to rediscover “New Life”. The first 4 weeks the church is led by the pastor to do a prescribed list of ministry objectives and the 5th week one of our clinicians comes in to complete the conference. This conference is life changing! This is a month long starter conference that helps the church build a ministry of discipleship. A Clinician will teach the first session at the beginning of the conference, then turn it over to the pastor or lay leader and then return at the close of the month for a discipleship kick-off service. This is a month long stewardship campaign designed to put stewardship of time, talent and money in the right perspective in the hearts of church members. The outcome of this conference will be a greater commitment to serving and giving in the lives of the average church member. In most cases tithing increases and the church receives great financial blessings as a result of a new commitment on the part of the members. For more information contact [email protected] or call (866) 847-0252.